The City of West Kelowna, and the Regional District of Central Okanagan have called on the B.C. 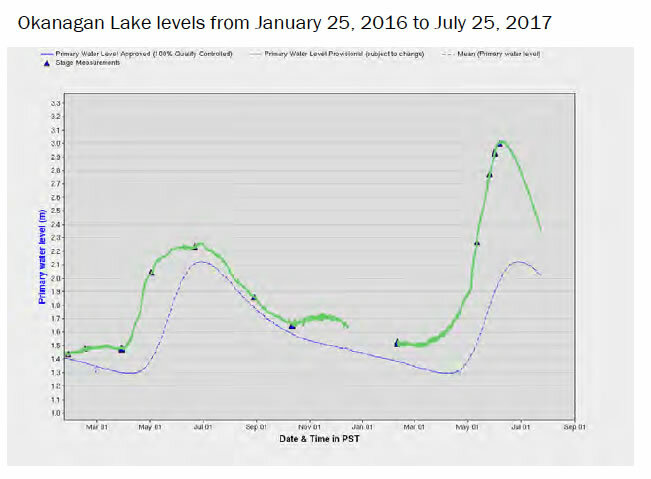 Minister of FLNRORD to review all the factors leading to the flooding of Okanagan Lake in 2017. 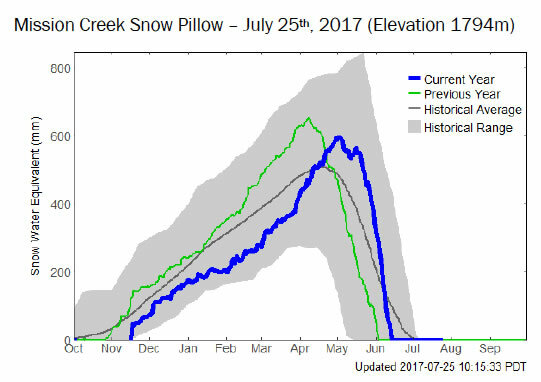 According to the Snow Surveys on the River Forecast Centre website, the Okanagan snow pack was 86% of normal on March 1, and 228% of normal on June 1. 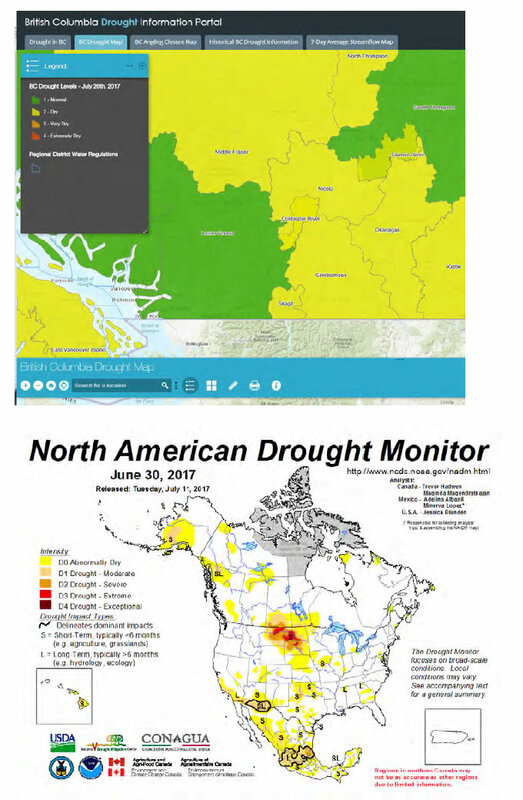 The peak was significantly lower and later than in 2016 – the variation in conditions are very challenging for water managers. From wet weather to dry weather – we are now in a Level 2 drought, with hot and dry conditions expected to persist throughout the summer. However, as of mid-July, when we emailed our water supplier partners, none are on greater than normal watering restrictions.